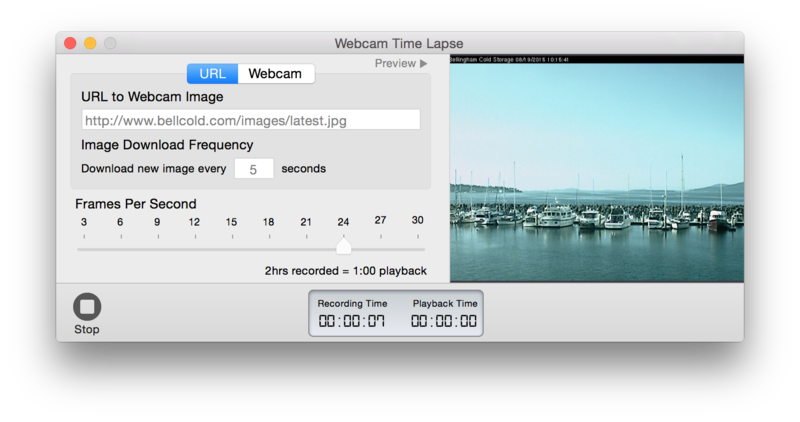 Webcam Time Lapse is available on the Mac App Store. Performance updates and minor bug fixes. Reworked image processing to drastically decrease memory usage. Upgraded for retina graphics and support for Mavericks. Moved from QTKit (now deprecated) to AVFoundation. 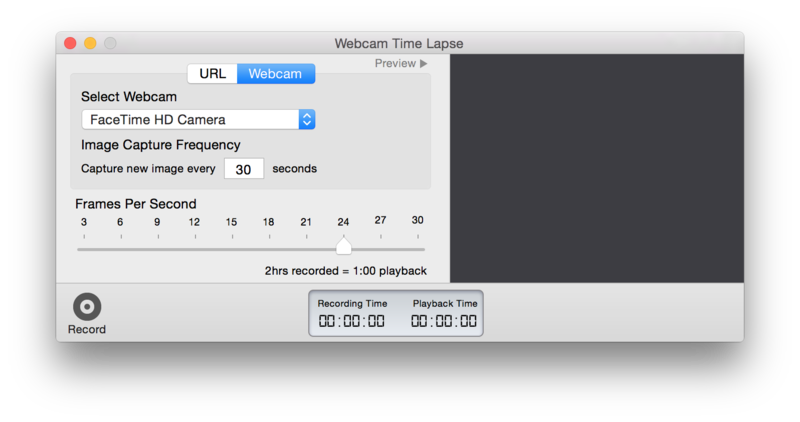 Added support for DV cameras.